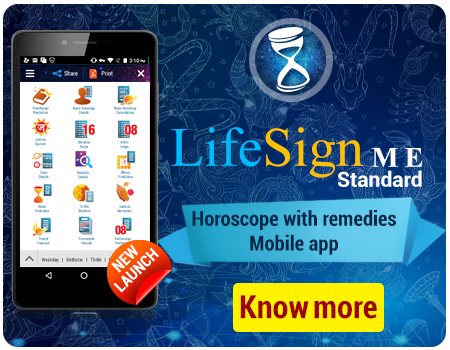 LifeSign 14.0 provides horoscope reports with inclusive calculations, predictions and remedies. It can let you generate reports in a variety of formats to meet the specific requirements of your customers. 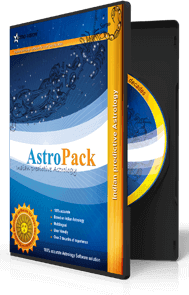 The software has more than 10,000 satisfied users which include astrologers, astrology centres and business centres (Internet cafes, STD /PCO booths, Xerox centres, Marriage bureaus etc.). A new business opportunity or a source of additional income to existing businesses. 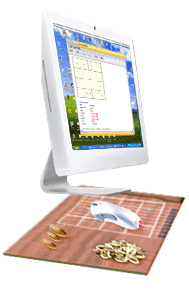 Customised horoscope reports - single-page report, report with charts & calculations, report with detailed predictions etc. Reports in multiple languages - English, Hindi, Tamil, Malayalam, Telugu and Kannada. 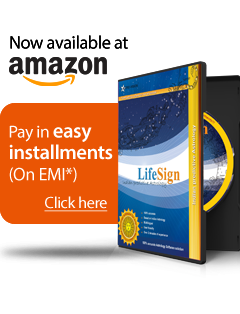 Choice of chart formats - North Indian, South Indian, Bengali, Kerala & Sri Lankan charts. Reports as printouts; or softcopies that can be sent to customer mail id or saved in a CD. 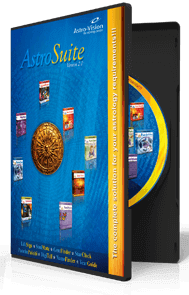 Analyse birth chart for Rahu & Ketu doshas and suggests remedies.